We have the expertise in the designing and manufacturing wide range of precision engineered ribbon blendersas per the specific requirements of our clients. Our valuable industry experience allows us to develop them in different models like Ribbon Type, Paddle Type & Cut Flight Type Mixer. 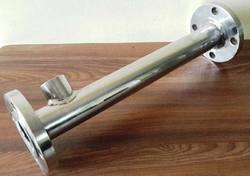 Good quality carbon steel Powder coated mixer available in three sizes and is used for mixing of cement wall putty, mix small quantities of liquid paints or any medium to heavy viscosity materials. 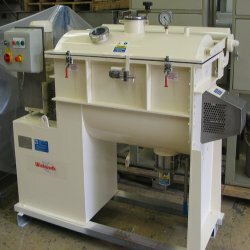 The range of Granulating Mixers we offer are widely known for granulating and mixing different ingredients. We offer these machines fitted with multi-speed impellers placed close to mixer bed, which further helps in fine mixing. These machines are ideal for industrial purposes. Our clients can avail these products at leading market rates. The unique air-and-liquid mixing system of the Ocean™ H Foamer gently dispenses your product into the rich foam consumers expect.